NAU Television Services will pick up the Altitude Sports broadcast of the Big Sky Conference Tournament semifinals in Portland when the Lumberjacks play at 5:30 p.m. Tuesday, March 11. The game will be shown on Flagstaff cable channels 4 and 59, as well as the Universityhouse station (Dish Network 9411) and Fox College Sports Pacific (Digital Cable Channel 172 in Phoenix and Channel 146 in Flagstaff). NAU’s student-run radio station, KJACK, will host a Flagstaff mayoral debate beginning at 5 p.m. Tuesday, March 4. The debate will be held before an audience in Gardner Auditorium in The W.A. Franke College of Business. It will be aired live on KJACK (AM 1680) or www.kjack.org and will be rebroadcast at 6 p.m. March 8 and 9. Candidates David Schlosser, Rick Krug, Stephen Knutson and Sara Presler-Hoefle are expected to attend. An activist-author will discuss migrants and border issues, with emphasis on the Minutemen, during a free lecture beginning at 6 p.m. Monday, March 3, in the Gardner Auditorium of The W.A. Franke College of Business. Ray Ybarra, co-writer and co-producer of the award-winning documentary Rights on the Line: Vigilantes at the Border, will explain border policies and the funneling of migration through Arizona through his personal history of being born on the Arizona-Sonora border. Author Paul Woodruff will present a lecture titled “Are Americans Ready for Democracy?” beginning at 7 p.m. Thursday, March 6, in Ashurst Auditorium in Old Main. Woodruff, a University of Texas professor of ethics in American Society, is author of First Democracy: The Challenge of an Ancient Idea. He will discuss the principal demands that democracy makes on citizens, as learned from the ancient Greeks, and examines American readiness to meet those demands. A renowned professor of folklore from the University of California, Berkeley, will be at Northern Arizona University this week to discuss the media’s role in health and ethnicity. Charles Briggs will discuss “Diseased Bodies in the Media: Racializing Ethnicity, Blaming Victims,” beginning at 3:30 p.m. Friday, Feb. 22, in the Gardner Auditorium of The W.A. Franke College of Business. 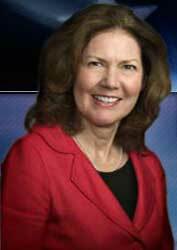 Northern Arizona University’s Commission on the Status of Women and Women & Gender Studies are hosting “Women in Politics,” featuring former state Rep. Ann Kirkpatrick as the guest speaker and a voter-registration drive. The event will begin at 3 p.m. Thursday, Feb. 21, in the Gardner Auditorium of The W.A. Franke College of Business. Kirkpatrick is a candidate for the Democratic nomination to represent Arizona’s First Congressional District.